This installation project took place in a property in Headley down, Hampshire. These great clients working on an ambitious refurbishment asked The Billington Partnership to specify and install a simple ‘hole in the wall’ solid fuel fireplace. We gave the clients a long list of options, and the final choice came down to a Riva Studio 2 Edge from Stovax. The Edge frame gives a minimalist, seamless no-frame design. It is made of aluminised steel and it can also be painted to match any interior. The installation itself was carried out in stages and in consultation with the contractors. The client was extremely happy with the final result and thrilled by the heat that this powerful fire puts out. 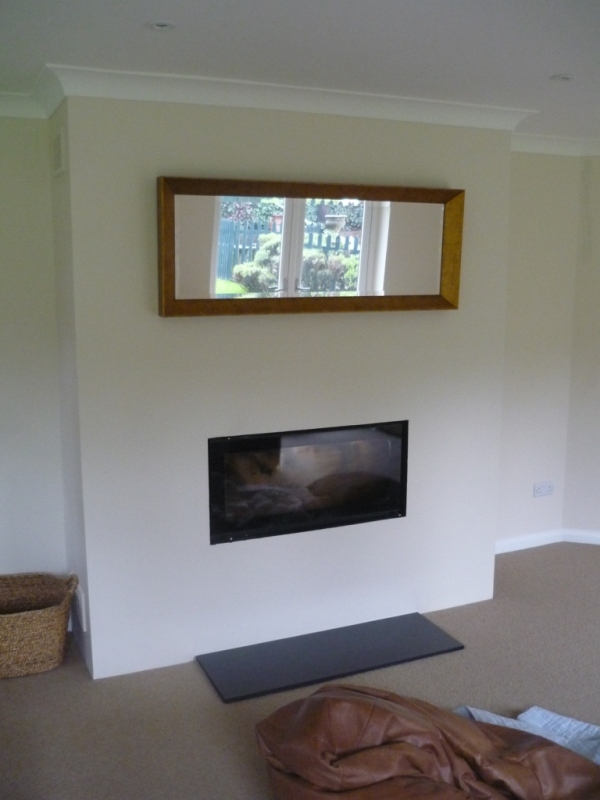 Finally, view another Riva fire installed by The Billington Partnership.